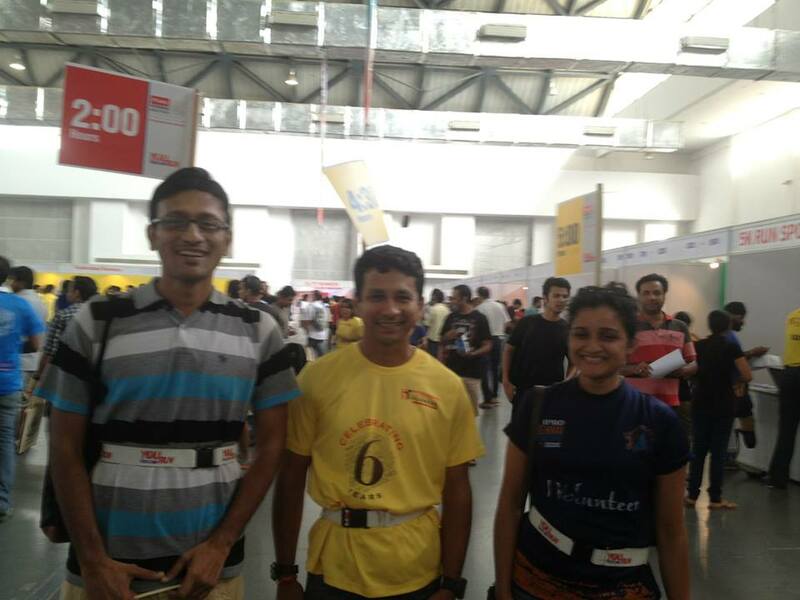 YouTooCanRun put together the Pacer Team for the Airtel Hyderabad Marathon in the August of 2013. This post captures the entire series of efforts that went into it and concludes with what was learnt from this effort. 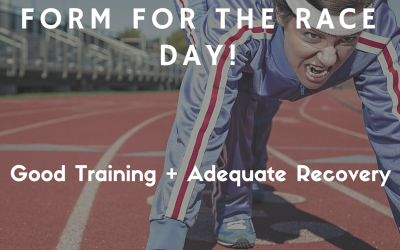 Many runners take up endurance running but do not know how to Pace their runs, thus often their runs are oneswhere the final timings achieved are by accident and not by design. Pacing, in an endurance event, is a very desirable aspect of an individual run that will help every runner better his timings and enjoy a sense of achievement. As per design and as per plan. A team of Pacers are an integral part of a well conducted running event. Pacing in our country has made very recent inroads. SCMM 2011 was the first event that saw Pacing in our country. The Pacing effort continued in the SCMM of 2012 and at the Airtel Delhi Half Marathon of 2012. Venkat of YouTooCanRun was part of all these events. 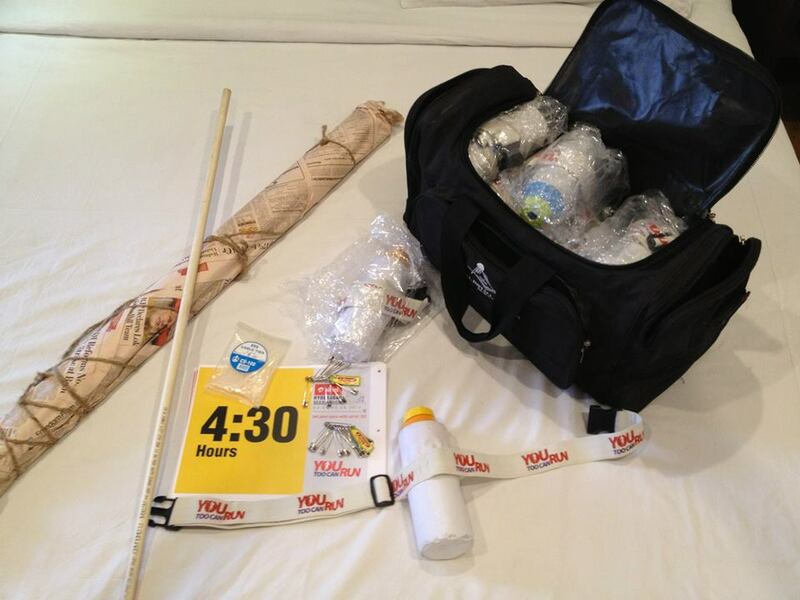 At the Borivali National Park Half Marathon of 2012, Venkat put together the Pacing effort. Venkat was also the pacer at the Airtel Delhi Marathon of Oct 2012 and the SCMM of 2013. He also wrote the country first Pacer manual with a view to help other Pacers understand what Pacing was all about. The organisers of Airtel Hyderabad Marathon had attempted a pacing effort in their inaugural edition of Aug 2011. It was met with mixed success for various reasons. The second edition of Aug 2012 did not have a pacers team since a lot of organizations focus was on conducting the event well. In this background the organizing team of Airtel Hyderabad Marathon, the Hyderabd Runners invited YouTooCanRun to put together the Pacing team for both the Full and the Half Marathon. Once YouTooCanRun accepted the invitation, Hyderbad Runners had already got some of the runners to be part of the pacing team. It had been determined that the time slots of 4:30, 5:00, 5:30 and 6:00 were needed for the Full and 2:00, 2:15, 2:30 and 3:00 were needed for the Half. These time slots were finalised based on perceived demand from the runners. HR had already got quite a few runners who were willing to run in a many of the above slots. YouTooCanRun then took it upon themselves to invite other runners who were willing to be part of the Pacing team. However inspite of much effort the time slot of 6:00 hour for the Full Marathon could not be filled up. Each Pacer was qualified such that he could run the same distance in the past at least 10-15 minutes earlier than what he was pacing for. The Pacers team having fallen in place, about two weeks before the event, activity levels picked up. The next task on hand was the aspect of coaching and transferring of knowledge to the new team. A series of email posts were thus initiated. A Pacing manual specific to AHM 2013 was prepared and circulated. In a phased manner all the do and dons of good Pacing were shared, debated and clarified. All the experience and best practices were shared on the email threads. While the Pacers, within themselves could exchange thoughts on email, a specific FaceBook group was created called HM 2013 Pacers Runners Interaction All Pacers were made members of the group. For each Pacing time slot an ‘event’ was created so that all discussions between the Pacers of that time slot and the runners of that bus could be threaded at the same place. In the common wall, a series of posts were made bringing out the importance of pacing for benefit of the runners. Both the Email thread and the Face Book group led to a better sense of engagement between the Runners, Pacers and Event Organizers. About a week before the event, an excel sheet was shared that was customised for the route elevation on a km by km basis. Each pacer was then encouraged to develop his own custom pacing plan that suited his own style. On the day prior to the event Pacers could meet and firm up their own pacing plan so that the event was paced by design. Bottles: Rubberised water bottled with the spout cut open so that the pennant pole can be inserted firmly. Pennant Pole: Made from sturdy plastic pipe of 39 inches length each. Pennants: The pennant was printed on non tearable digital printouts with appropriate branding. Securing Pennants: Pennants were secured to the Pennant poles using plastic cable ties. The binding was very secured and worked very well. On the morning of the Run the Full Marathon commenced at 5:00 am and the Half Marathon at 6:00 am. Venkat was there by 4:45 am so that the Pacers for the full marathon were met with and the pacers kits assembled and they were off to a good start. Same was done for the Half Marathon pacers also. Thus every pacer was seen to a good start, well kitted. With all the planning that had gone into the effort. The run itself was quite uneventful. Murphy however reared his head in a two areas. One pacer took ill and withdrew from pacing in the morning. Another pacer also took ill and started off valiantly, but had to drop off from his pacing obligations mid run. Fortunately in both cases, these deviations were not critical since both time slots had redundancies built in. One pacer however could not stick to his pacing plan due to cramps in his legs. But we do know that pacers are humans too. Similarly on the FaceBook group, feedback was taken from the runners who ran with the Pacers. Most of them were very gratuitous and thankful to the Pacers.